Just when I think I have run out of reasons to need washi tape I stumble across something as cute as these washi tape birthday cards. How fun! And the tiered cake could easily be a wedding card too. 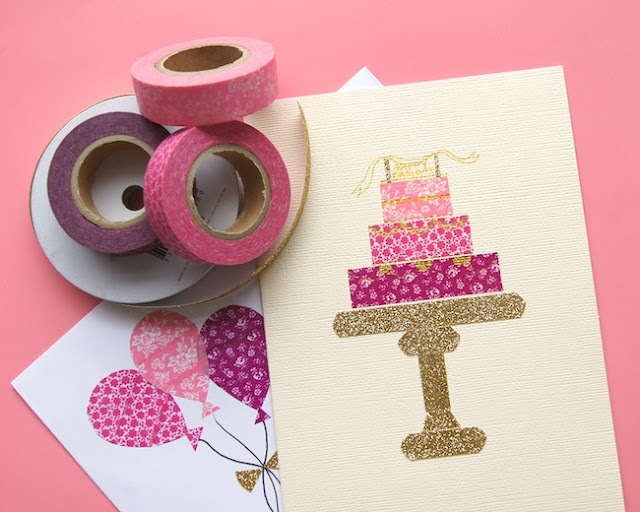 You can get the details on how to make these washi tape birthday cards over at Omiyage Blogs. i need to explore with washi tape!